When I’m walking north, I always do my best to avoid the madness of Union Square. 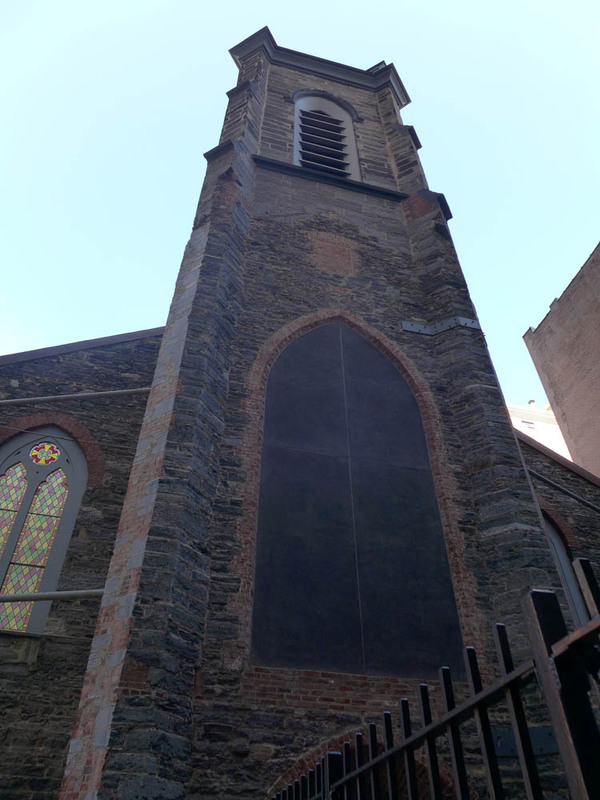 One recent route took me along 12th Street between 3rd and 4th avenues, where I spotted this gorgeous church – St Ann’s – snug against the other buildings. But something wasn’t quite right. The buildings behind looked almost too snug against it. 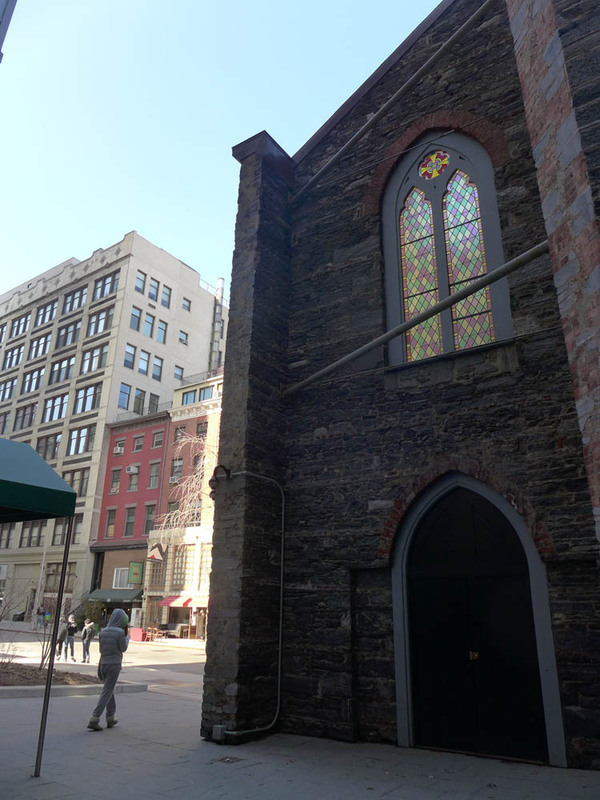 In fact, if you walk past and look back, you’ll see that it’s not a church after all – well, not a full church. 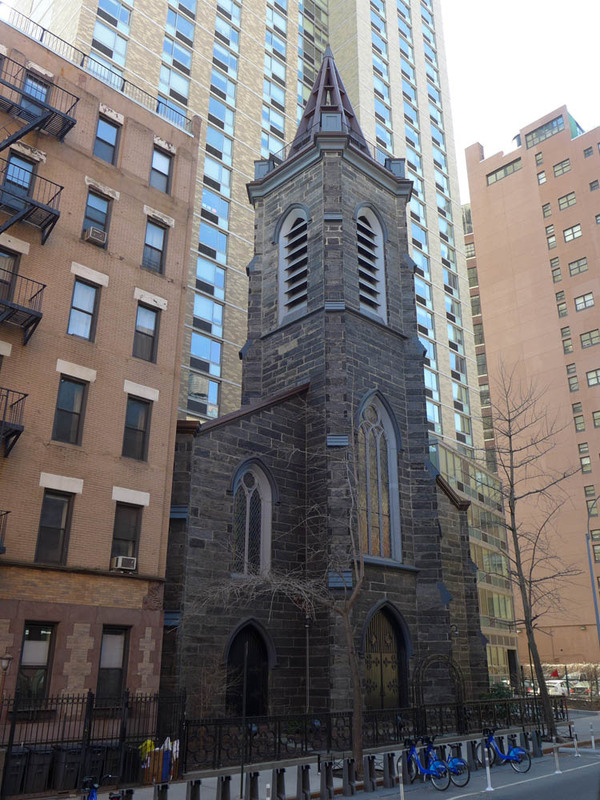 St Ann’s is now just a facade standing in front of an NYU dormitory building. 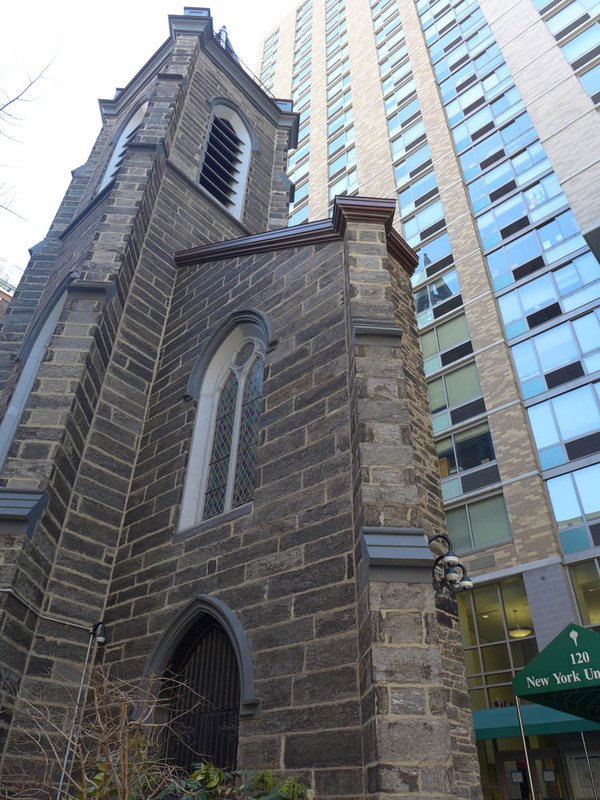 It was established in the 1850s, when it served one of the city’s wealthiest congregations. 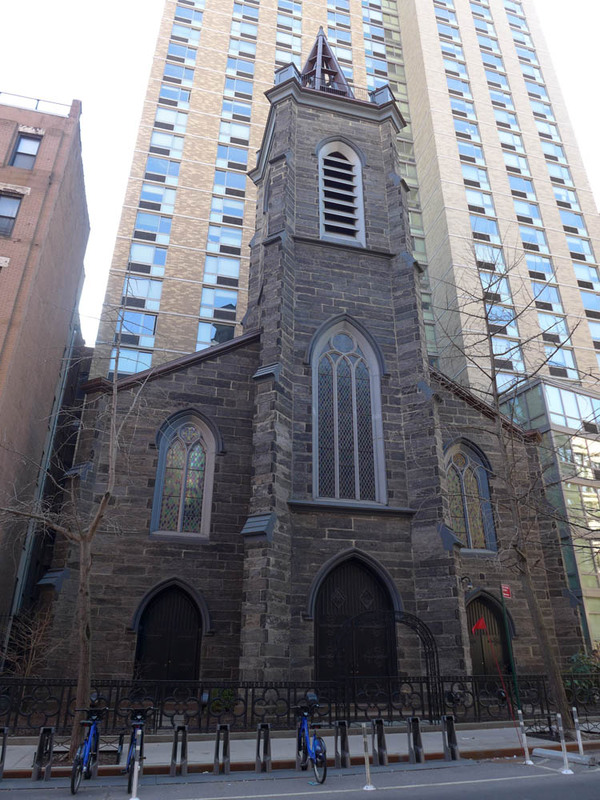 But 150 years later it was serving a very different demographic, and in 2003, the Archdiocese of New York announced that the church would be shut down. 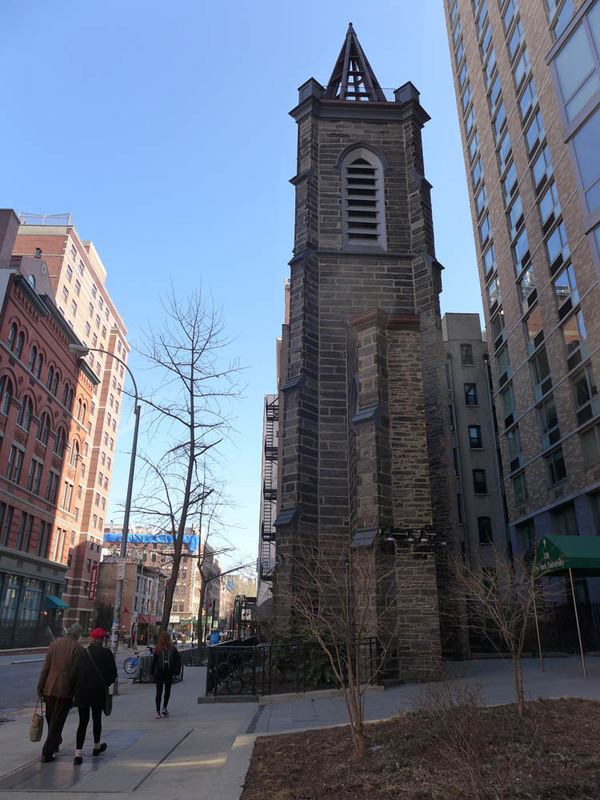 In 2005, it was bought by a private developer to build an NYU dorm. 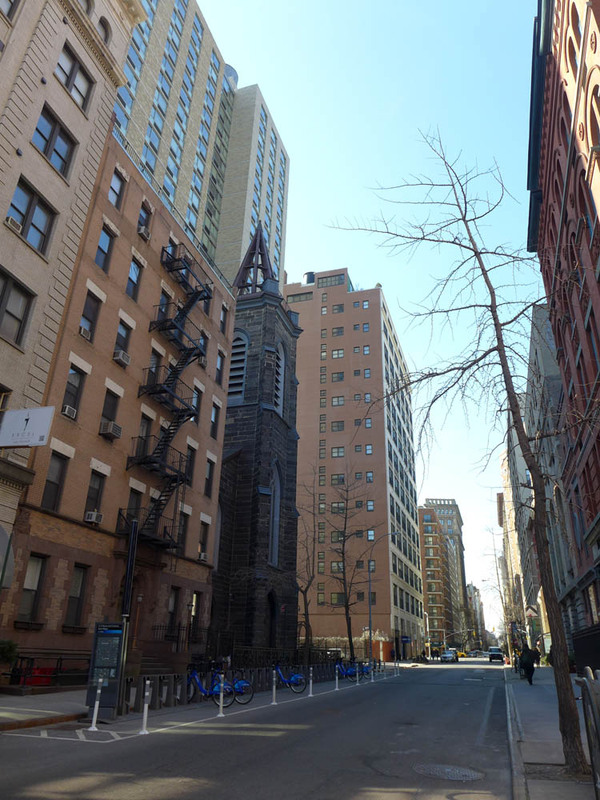 As local residents demanded the church be saved, NYU promised to keep its historical value in mind when finalizing the plans. But the church ended up being pulled down – except its front, which now covers the entrance of the university building. It caused a fair few complaints by locals and historians who’ve said that the result made little effort to appreciate the history of the church. But personally, as someone who admittedly has no personal connection to the building or its past, I think it’s pretty cool. You honestly wouldn’t know it was just a facade unless you walked right past it. And I do think it’s a nod to the history of the site – after all, they could have ripped the church down entirely. Look out for it if you pop past – otherwise, prepare to be tricked.